Stoke-on-Trent once had a large number of small sewage works with many having their own narrow gauge railway. Several used Lister 'R' Type Rail Trucks to move the wagons containing the sludge around the works and one, number 39419, is now located at Mill Meece. This has now undergoing renovation and can be seen on steaming days when it is uncovered for the public to admire. 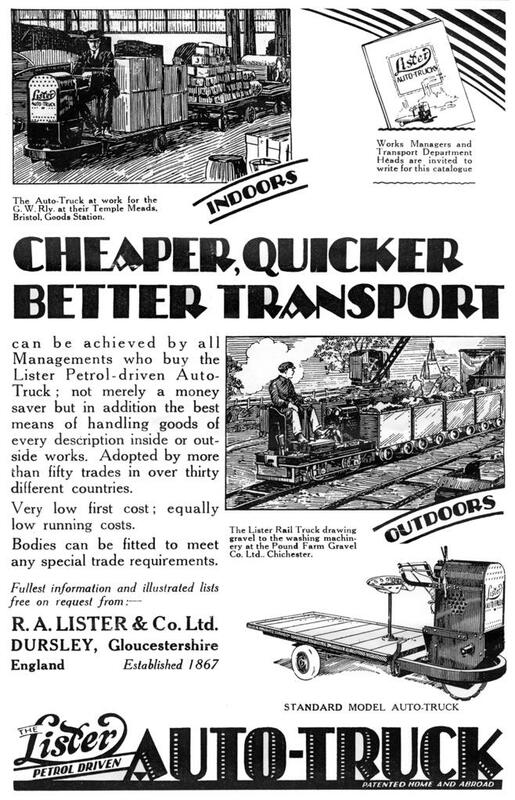 The Rail Truck is the rail version of the Lister Auto Truck, first produced by R.A. Lister & Company Limited in the spring of 1926. The original Auto Truck was a simple three wheeled vehicle with a single wheel at the front driven by an air cooled J.A. Prestwich (JAP) 600cc petrol engine. Following the success of the Auto Truck a petrol locomotive was designed in 1928. These used the same JAP engine, oil and fuel tanks and front housing as the Auto Truck. The latter comprised a cast iron grille carrying the words �Lister� and �Auto Truck� at the front with a plain sheet steel curved bonnet top and sides. The whole assembly of the Rail Truck is mounted on a simple four wheeled chassis. Suspension is provided by pairs of coil springs over each axle box. Power to the axles is transmitted via chain drive through a multi-plate clutch and two speed bi-directional gearbox. To improve adhesion four large cast iron weights are bolted onto the frames with an additional sand box at each corner. Those at the ends are plain but those fitted either side have the name 'LISTER' cast in to them. The locomotive at Mill Meece was originally fitted with a single cylinder JAP petrol engine but this was subsequently replaced by a Lister diesel engine and the cast iron grille, plain sheet steel curved bonnet top and sides were discarded due to the size of the new engine. Driver comfort is very minimal with a a simple tractor type seat being bolted directly to the floor of the truck. An optional extra was a curved awning, which was fitted to the Rail Truck at Mill Meece. 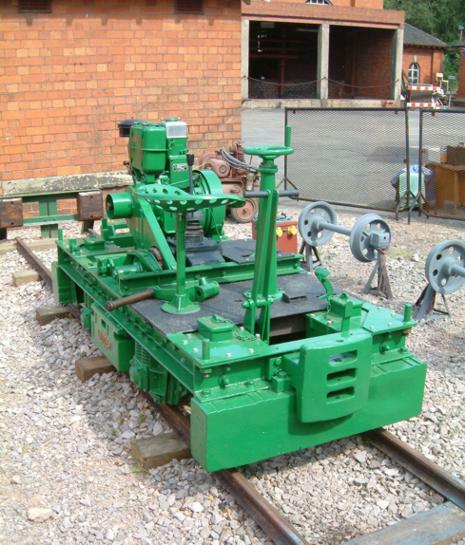 The Rail Truck at Mill Meece was used at the Blithe Valley Works, Checkley. The Works were opened in 1955, extended in 1971 and were used to treat the sewage from the eastern part of the Potteries and also from Stone and Uttoxeter. The 'R' Type Lister was housed on the site in a brick locomotive shed. The 2ft gauge railway serves the beds and lorry tip, while a branch line about 200 yards long lead to the grit channels. Rolling stock comprised 14 side tip and 2 end tip skips but the normal load was only two wagons. The sludge was then loaded on the beds by a tractor shovel.